Modular Matrix Switches | Simply Connect Pte Ltd.
ATEN Modular Matrix Switches offer advanced access and real-time control of multiple A/V input devices and displays through modular I/O boards in a single chassis. 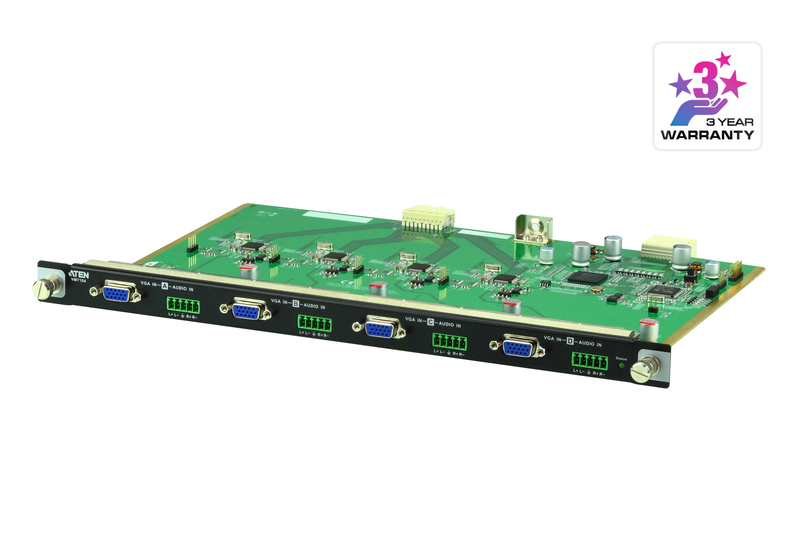 The VM7104 4-Port VGA Input Board offers an easy way to route 4 VGA video and audio sources up to 16 displays, when used in combination with the ATEN Modular Matrix Switch. The VM7104 supports RGBHV / RGBS/ Y CbCr/ YPbPr input signals; stereo audio that can be embedded into HDMI Audio output. 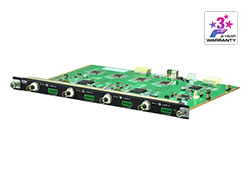 The VM7404 4-Port 3G-SDI Input Board offers an easy way to route any 4 SDI video and audio sources to multiple displays when used in combination with an ATEN Modular Matrix Switch. 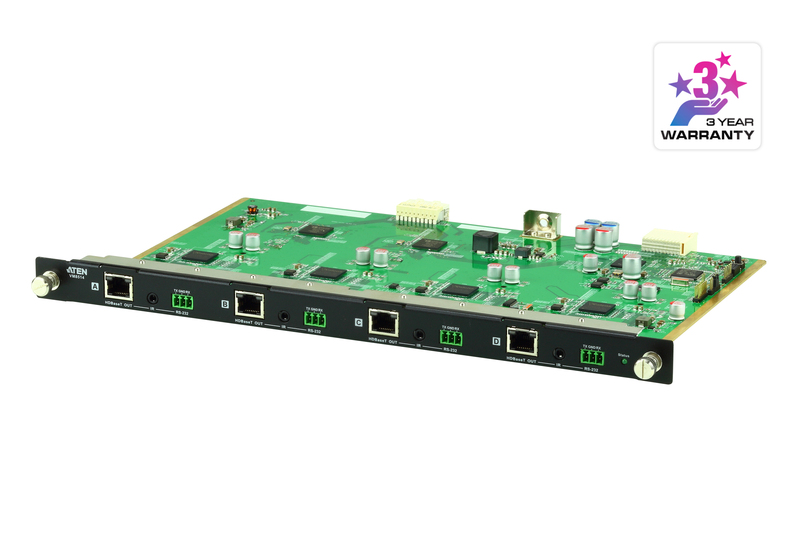 The VM7514 4-Port HDBaseT Input Board offers an easy way route 4 HDBaseT transmitters connected to HDMI sources to 4 HDBaseT receivers connected to HDMI displays, and in combination with the ATEN Modular Matrix Switch provides the ability route up to 16 input and 16 output HDBaseT connections. The VM8804 4-Port HDMI Output Board is offers an easy way to route any of 4 audio/video sources to any of 4 displays, in combination with an ATEN Modular Matrix Switch. The VM7804 4-Port HDMI Input Board is offers an easy way to route any of 4 audio/video sources to any of 4 displays, in combination with an ATEN Modular Matrix Switch. The VM7604 4-Port DVI Input Board is offers an easy way to route any of 4 audio/video sources to any of 4 displays, when used in combination with ATEN’s Modular Matrix Switch. The VM1600 Modular Matrix Switch offers advanced access and real-time control of multiple local and remote A/V input devices and displays from a single chassis. The VM1600 allows users to independently switch and route video and/or audio content directly to various monitors, displays, projectors and/or speakers simply by pressing front panel pushbuttons.